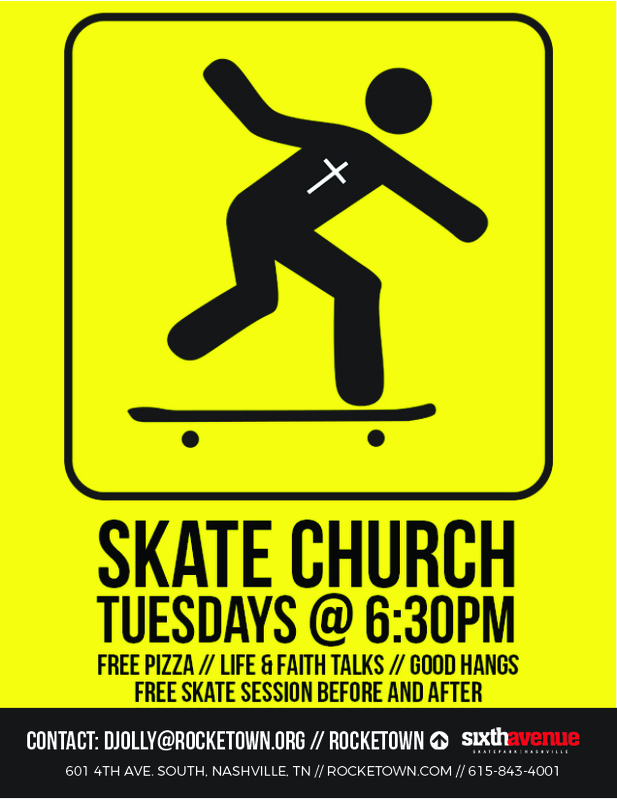 SkateChurch happens every Tuesday night at 6:30pm in the skate park. SkateChurch is a time for us to get together, talk about Jesus and the Bible, express our views and opinions on it, break bread together…usually pizza, and then skate afterward. There is no judgment at SkateChurch and we respect everyone’s opinion. We ask the same from everybody that attends. When you come to SkateChurch, we hope that you walk away with a full belly of free food, a free skate session, and most importantly, we hope and pray that you learn more about a life with Christ. Our message is love and respect and we are excited for you to be a part of the SkateChurch family.